Here at Folie we’re all obsessed with all things French (food included), and especially with their coveted closets. 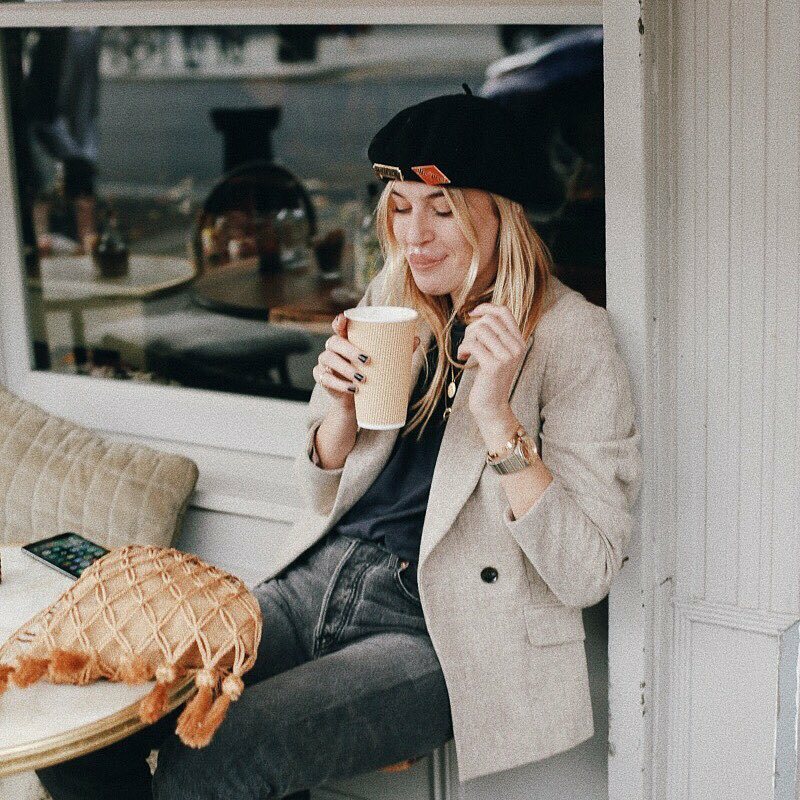 We’ve seen their effortlessness and chicness in Caroline de Maigret, Inés de la Fressange or Emmanuelle Alt, and we can all agree that the French girl style is impeccable. Want to master that look and get that je ne sais quoi effect? Here are some of the key pieces that you need that aren’t the beret + Breton T-shirt + baguette classics. Blazers. There’s nothing like a good old blazer to take your outfit to the next level. We love the ones in neutral colors, like grey, navy or black (what the usual Frenchie goes for), but if you feel more confident, you can try one in a brightest color or in a bolder neutral color like white. For the winter season, you can spice it up with the textures: we’ve seen some parisiennes wear velvet or corduroy blazers that remove the boring from a white t-shirt and jeans combo. Patterns. Even though the French wardrobe is not particularly famous for its bright colors and wild pattern combinations, French girls like a bit of a change from their neutral based fabrics. Instead, they go for basic colors but with a little something, like polka dots, stripes and other patterns, but always very minimal and on the classier side of things. Wrap dresses, or suit pants are the easiest way to go, but floral shirts (always in neutral tones and without immense flowers) or accessories like a bag or a neckerchief are also a god idea and you probably have them already in your wardrobe. Minimal jewelry but loading up on it. With the Missoma and Lucy Williams (which is not French but almost) collaboration, the necklace layering became a thing, and French girls love it as much as we do. Tiny necklaces are the way to go here, and preferably gold. They best way to wear them? Plunging necklines or with a basic white t-shirt. Shearling jackets. We wouldn’t think of this trend as a typical French girl piece, but we can’t neglect all the pictures of shearling jackets and coats worn by French instagrammers that we’ve been seeing all over our feeds. The key here is to go for a classic fit, nothing too oversized and to pair it with timeless pieces to tone down the outfit and take away the drama. Jeans, a tee shirt, and booties are always a good option. Sunglasses. They’re the easiest and fastest way to elevate an outfit, and the Frenchies know it. There’re tons of options, but you can go either the safe route, with a classic pair in black or the bold one, with more extravagant shapes and frames in other colors like white. Either way, big and squared shaped or cateyed silhouettes are the most flattering.